At sherway dentistry, Drs. Shefali Tuli and Mislav Pavelic provide general, cosmetic, and restorative dentistry. For patients seeking a dental practice "near me" in the area of Etobicoke ON that offers professional teeth whitening solutions, we encourage you to visit one of our dentists to discuss tips to whiten and brighten dull, yellow teeth. 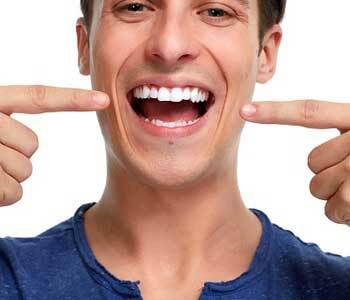 Cosmetic dentistry focuses on the appearance of the smile. It is popular with patients who are interested in achieving the smile of their dreams, and may encompass one or more treatment options. One of the most commonly requested treatments at our practice is professional teeth whitening. Professional whitening is often chosen by our patients because they have been unhappy with the results they have achieved with over-the-counter whitening products available on the market today. These treatments include strips, trays, and toothpastes that promise to brighten natural tooth enamel. However, many fail in keeping their promises, and patients are interested in concentrated, professional teeth whitening to achieve the results they desire. Drs. Shefali Tuli and Mislav Pavelic are excited to offer results with in-office power bleaching and our take-home whitening kits. What whitening procedures are available? The most popular whitening treatment offered at sherway dentistry our Zoom in-office power bleaching. Zoom is a specialized brand of light-activated whitening gel used only by professionals to provide same-day results. The smile is prepared with an initial dental cleaning to remove plaque and tartar from the surfaces of the teeth and gums which can inhibit whitening results. Then, barrier gel is applied to the gums to protect the soft tissues during treatment. Bleaching gel is painted onto the surfaces of the teeth and activated with a light, which allows the gel to lift stains from deep within the natural tooth enamel. Within an hour, the teeth can be whitened up to eight shades brighter with little to no sensitivity. Another option for patients to consider at sherway dentistry is our take-home whitening trays. These are special acrylic trays that are custom-made for patients based on impressions of the natural smile. The trays ensure proper fit around the dental arch to achieve full coverage with the prescription-strength whitening gel supplied during the appointment. Patients use the whitening gel inside of the trays and wear them over the dental arch for a specific period each day, ensuring results within as little as a week or two! Patients love the ability to gradually whiten their teeth with a more affordable option, and do so in the privacy of their own home. 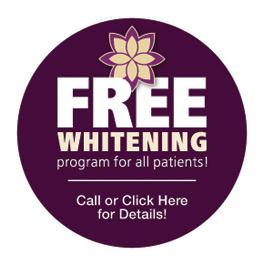 In addition to our in-office power bleaching and take-home trays, we also offer a Free whitening program. This program allows patients to receive free whitening gel refills at their recall appointments when they maintain their visits, show up cavity-free, and follow office policies for scheduling and cancellations. New patients can be entered in this program after they have an initial evaluation, cleaning, and x-rays. This is a wonderful way to keep the smile beautiful and healthy in an affordable way, and provide accountability for better oral health and wellness. Patients must be over 18 years old to be enrolled in this program and strictly follow our qualification standards. We encourage patients who are interested in long-term whitening to learn more about this program with our staff. Schedule a visit with the team of sherway dentistry today! Drs. Shefali Tuli and Mislav Pavelic of sherway dentistry are here to assist you with your oral health care needs – including cosmetic services. Their practice, located in Etobicoke ON, also serves patients in the communities of Burlington, Milton, Hamilton, Waterdown, Mississauga, and Toronto. The office is located on the third floor of 190 Sherway Drive in Suite 302, and can be reached by phone for an appointment at 416.639.2546 . Call today to book an appointment and learn about all we have to offer!